You have a ton of posts all ready to go after the last portion of our Guide, and now you want to publish them all in one hit. This is where I put up the single finger in a kind yet firm manner and say NO, do not do this with your work. The temptation in the early blush of creativity is to share everything immediately. This is perfectly normal and I see it happen all the time: the problem then comes a month later when you’re struggling for stuff to fill your space and creativity appears to have evaporated. That’s why this time around, I’m going to ask you to wait, and start planning ahead. Remember that blank calender I left you with last time? Here’s where the fun of Learning to Organise begins. 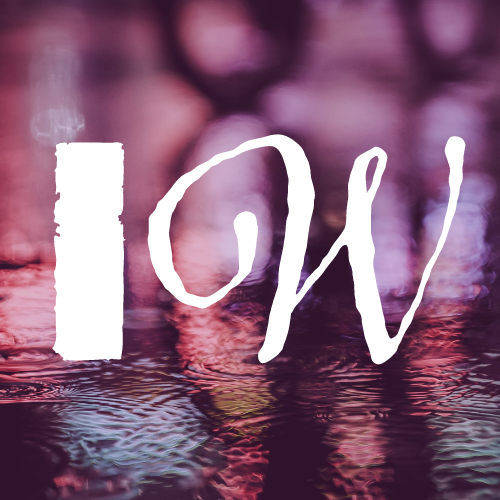 I’m going to be rebranding this site next month as the Internet of Words (for those of you paying attention) and that means that I need to do a couple of things before that happens. Once I’ve followed my own previous step and worked out what will qualify as content, I’ll need a week to make sure that I have graphics for everything made and ready, and there are spaces in the web design to accommodate what I’m doing. That’s the 14th to the 19th for me, which is my Pre-Planning and ‘Back End’ phase. In that time I can also write posts in anticipation of my launch (June 1st) but not publish them until I know my redesign is working properly. In your case, it could just be getting yourself comfortable with blogging to begin with, and you have a week of playing with layout and posting until you’re comfortable with both. I’ve then scheduled a Testing Week, which will basically act as my migration period for all the old content, deleting the stuff I don’t want to keep, and getting everything ready to roll. As you can see, after my launch date I’ve got a load of +1 and +2’s marked: the latter indicate days when I’ll introduce a facet of the site, the others marking down that for the first month, I want to generate a post a day. To do that will require me to organise in advance, to have ideas ready to roll, and once I obtain that early impetus it will be important to ensure I have a plan. That’s why I’m writing on Post It notes, scribbling in a notebook wherever possible, and keeping track of things I think are important or interesting going forward. It is why this weekend will be devoted to thrashing out many of those scribbled notes into fully-formed topics to form part of my site. The key, of course, is to have a lot of content to go, but there are days when I undoubtedly do my best work from a cold start. Today was a case in point: I didn’t expect to create a logo or start a Twitter account for the redesign but both of those happened. I’d simply planned to day to explore the possibilities of both, but you’ll learn in time how inspiration strikes, and when to make the most of it. This is where organisation truly becomes invaluable, because in those creative-rich days, if you can get words down they can be kept and scheduled for days when you’re out of ideas. It also means you are never totally beholden to your site either, and can take holidays or time off without it appearing you lost interest in the project. You will find, as time goes on, that if you set aside a set time each day to write, this will also aid enormously with productivity and creativity. For me, I do my best work on non-fiction before lunchtime, whilst fiction always works better in the evening. That means I’ll be able to balance my time effectively around other stuff and still aim for a set result at the end of each week. You may wish to plan ahead on a spreadsheet programme, and there are plenty of time management tools/apps that can help you out, but for me I am at my best with a Moleskine Diary, pen, pencil and ruler. In fact I’d be utterly lost without them now. My planning for the week is either done Sunday night or Monday morning, and this dictates the entire workflow for the next seven days. Find the system that works for you, and don’t be afraid to mix and match until you’re comfortable with the result. The biggest trick however is not to panic when you’re out of ideas. That’s why you have a notebook, its why you plan in advance… and its where Social media can save the day. Current events, personal interests, what other people are talking about, the latest complaint/beef in your friends circle… all of these are potential topics to start a blog post. For me, I have a ton of projects in various states of completion to consider, a vast array of topics on the Internet of Words that all have a potential place in my planning: but the trick is not to obsess too much about all the possibilities. I’ll be picking a couple of the best ideas to work with at the start, and we’ll go from there. Once the framework is established and has run for a while, I can look at analytics to see where the interest lies, and work from there. Organisation really is everything if you want a professional looking site. It also doesn’t all have to happen straight away. Just because I’ll be doing a post a day means it will stay that way. We’ll see how things work, and the trick in these early stages is to listen to other people very carefully. Many will give you feedback, and if it isn’t great, you’ll need to be ready to act accordingly. Next time, we’ll talk about how you keep people interested whilst they read, because that will matter long term just as much as your content.